I already posted pictures of my favorite peony blooms from Weeks 1-3 of the peony bloom season in my post 2012 Peony Blooms Very Early to Early Mid - Weeks 1-3. However I thought it might also be beneficial to post some of my favorite overall performers from Weeks 1-3 here in my Southern growing climate. 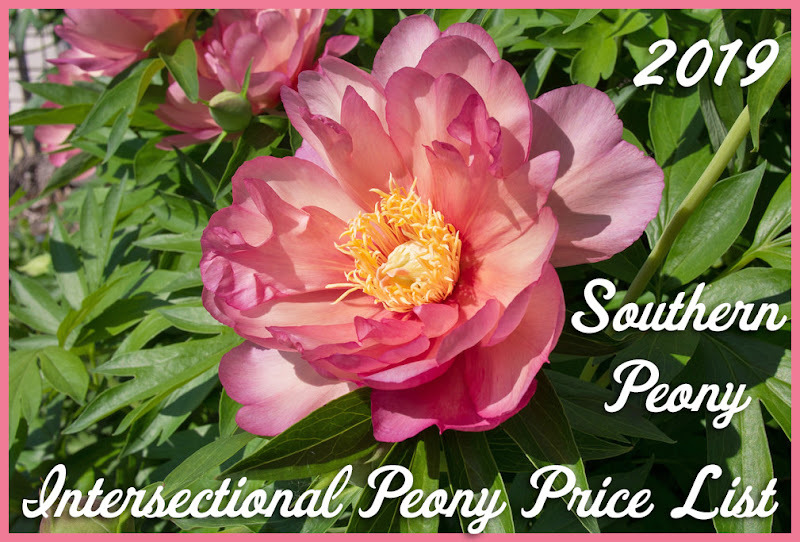 The best two peony bushes overall were Peony 'Seraphim' and Peony 'Honor'. 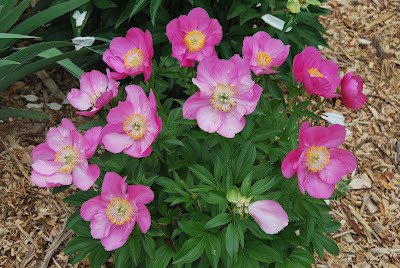 Peony 'Seraphim' is just so lovely and has a multitude of blossoms on tall stems with multiple blooms per stem. 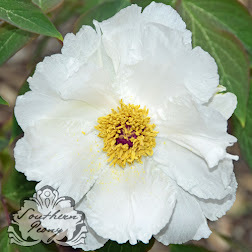 The bright white flowers just look so lovely and feminine and the foliage is very sturdy and a nice dark green color. 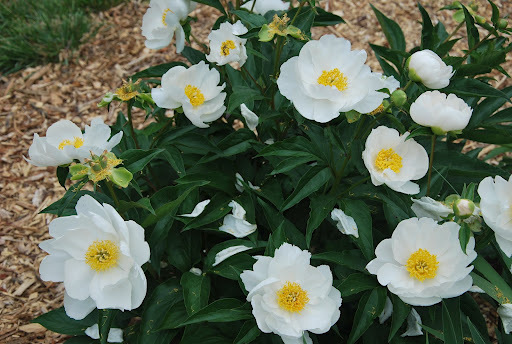 Peony 'Honor' is a plant of much shorter stature, but no less lovely. The dainty pink blossoms are one to a stem, but with a staggered opening, which showcases the beautiful range in color of the petals as they open. The foliage also seems sturdy here, and the green is a bit lighter in color, a nice contrast with the pink blooms.